Photography has become one of the best modern ways to celebrate women’s natural beauty. Today, photography is a contemporary form of artwork that is one of the best ways to celebrate female beauty. Since female beauty is a major photography subject, it is very appropriate that there are forms of photography that highlight it. One of the more modern innovations in photography is depicting subjects as they are, rather than how the photographer sees them. This trend has given rise to boudoir photography, which takes its name from a French word for a private bedroom for a lady. Women of all ages have made use of this photography. Spending foreverwith your significant other doesn’t mean that your romantic life has to get dull and boring. In our modern lives, we have to deal with the trifles life brings, and occasionally, we all get caught up and let our passion for life slide a bit. For men and women, boudoir photography offers a great way to spice things up a bit without going overboard or coming across wrong. Perfect for those who want to add some passion back to their romantic relationshipsor for those about to embark on a life together, boudoir photography is an excellent way to put the spring back in your step. Continue…. 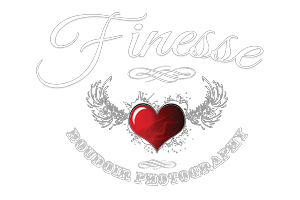 What made you decide to have a boudoir photo shoot? How did you feel about yourself before the photo shoot? Were you confident? To be honest I felt like cancelling the weekend before. I was so nervous and questioning whether I should do it. How did you feel during the photo shoot? Were Paul’s directions clear to follow? As soon as I arrived I was put at ease firstly with Marketa and then with Emma (the make up artist). Paul was very friendly, all his directions were clear, very patient as I kept getting my hands mixed up. How did you feel about your photographs once you saw them? Very pleased indeed. Made me think “Wow”. I especially thought when seeing my bottom, “I can’t believe that’s my bottom”. What would you say to other ladies considering a boudoir photo shoot that are perhaps quite nervous about doing it? I was very nervous before, even considered cancelling. I am so happy I did it, gave me my confidence about my body – lovely to see your body in lovely photos. I was a little bit nervous beforehand and I had put on a bit of weight over the Christmas period so I was worried the photographs might not look very good. Before the photo shoot I did feel little bit anxious and nervous but after my make up I felt amazing and ready to do it. We recently had the pleasure of Shelley from Brighton attend our studio for her boudoir makeover and photoshoot. Here’s what Shelley had to say in her story of ‘meet the ladies’. Before I was nervous, wondered if I was doing the right thing – panicked about what to wear and what people would think about my body. We are pleased to release our brand new dedicated boudoir website. We hope you will enjoy reading our posts and visiting our new website. Why not join us on Facebook and keep posted about offers and what we’re up to.